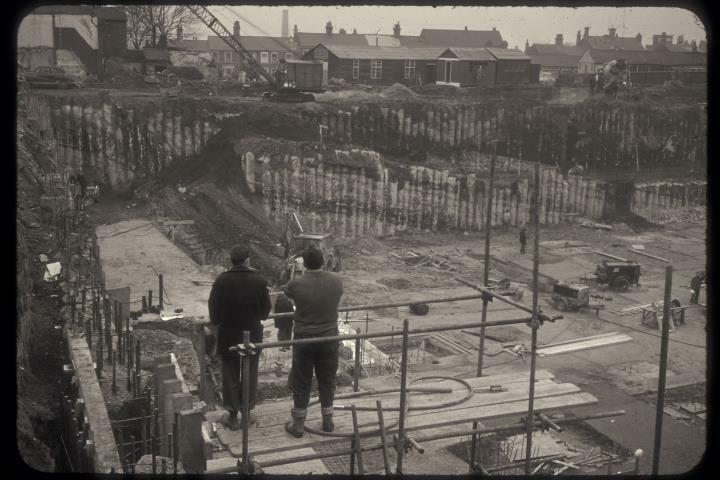 Description:Excavations for the underground car park and West Precinct of Hanley Shopping Centre on Old Hall Street. Old Hall Street is behind and the camera is looking southwards towards the buildings on Birch Terrace, in the distance. 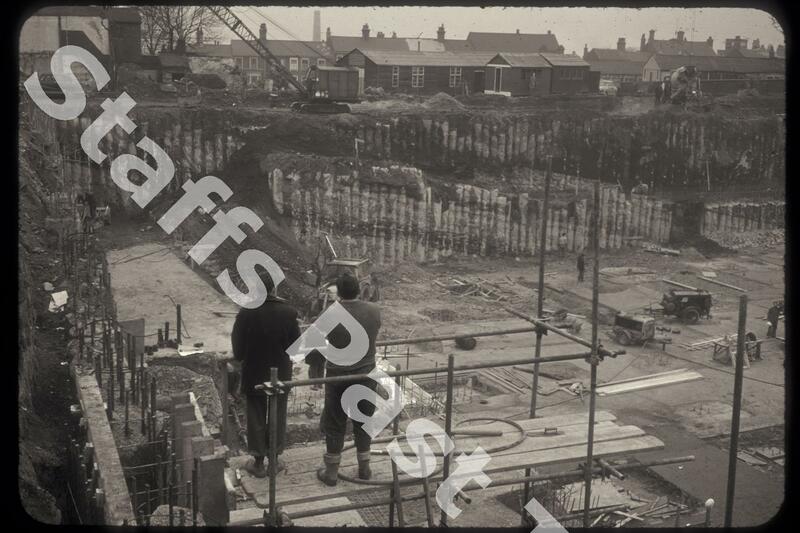 Beyond the excavations would the site of the old Hanley bus station.